Many possibilities for your branding on the site and around the competition arena. Would you like to become a sponsor of this magnificent event? Contact us for the possibilities and sponsor packages. Sponsorship at Driving Valkenswaard International offers you the chance to be associated with a top international carriage driving event, which combines top-level sport with an unrivalled social setting. The Show hosts Horse pairs and Horse Teams attracting top-level competitors from around the world. DVI offers possibilities and exposure you may expect from an international top event. We look forward to discussing the various options with you, which suit your wishes and ambitions. 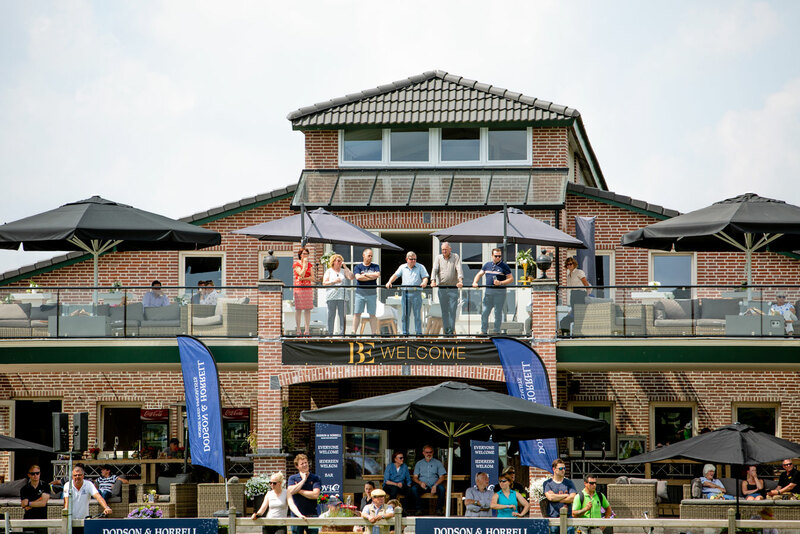 Driving Valkenswaard International offers a stunning hospitality room for VIP-sponsors including a large under cover terrace, with premium viewing overlooking the main arena and 7 of the 8 marathon obstacles. Comfortable seats and exquisite catering complement the VIP-lounge. Knowledgeable hosts will welcome you. You can park your car on a reserved and guarded parking place. Driving Valkenswaard International (DVI) – from 30th May to 2nd June 2019 – offers carriage driving sport at the highest level. With World Class competitors in beautiful surroundings, on site at Exell Equestrian. Besides spectacular equestrian sport, Driving Valkenswaard International offers plenty of opportunities for a great day out with the whole family. Submit comments on this page through us support form.